Next Generation Central Office (NGCO) is a network transformation journey, driving change in the way Telcos plan, deploy and manage their infrastructure. Located between the access network and central data center, NGCO functions as a distributed data center with a smaller area and power footprint than a traditional hyperscale data center, NGCO is an edge data center that can support both fixed and mobile traffic. Leveraging our own expertise in the designing and manufacturing of server, storage, switch, and rack systems, and knowledge in Software Defined Networking (SDN), Network function virtualization (NFV), and NFV Infrastructure (NFVI); QCT is now building NGCO rack solutions to support flexible configuration and deployments for various services. To achieve network transformation and realize NGCO, the integration and compatibility of infrastructure, workload, and platform management are important. 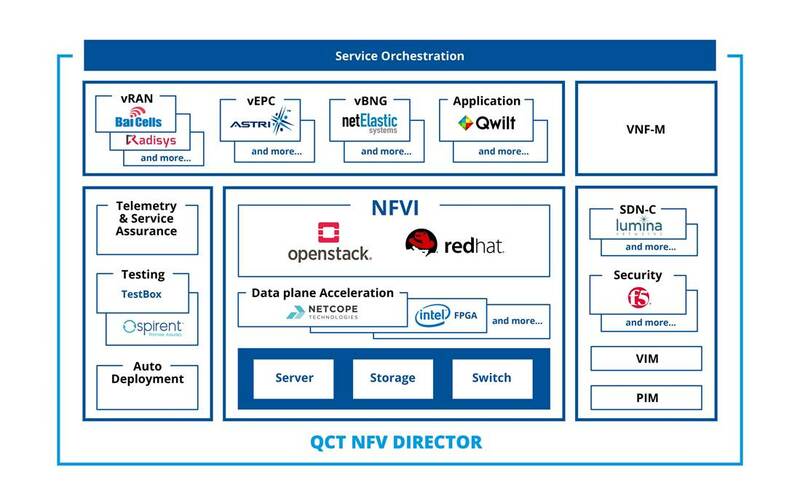 Therefore, QCT has been collaborating with several strategic partners and commercial virtualized network function (VNF) vendors which own industry-leading technologies. (i.e. vEPC, vBNG, vRAN, PE Router, security, etc.) The VNF application portfolio of the QCT NGCO covers fixed line and mobile network functions, from the access to the core networks. 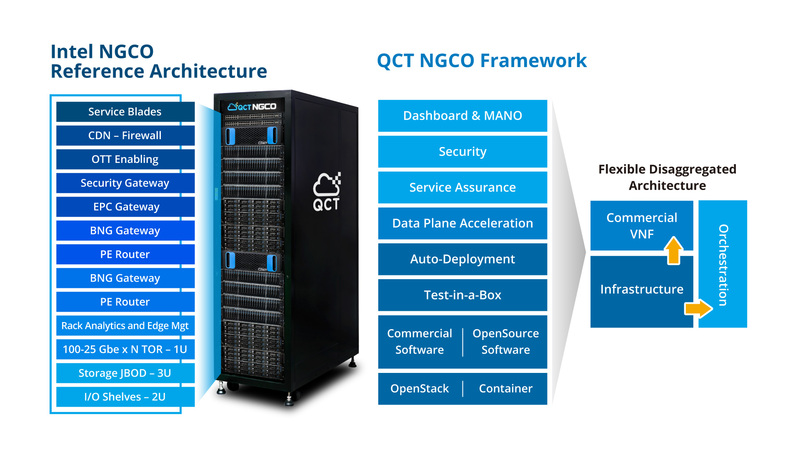 With the best-in-class commercial VNFs deployed and practiced on QCT’s optimized NFVI platform, along with closed loop automation mechanism and developed telemetry for service assurance, the QCT NGCO rack solution is specifically designed for telco central office transformation.